This Japanese line started in the 80's and has since gained international success for their anti-brand-style—no logos, no over-the-top marketing or advertising, and no excess design. Clean, minimal design is at the core of Muji, which makes this lifestyle line feel comfortable and easy. Well designed household furniture, decor, organizational items, kitchen wares, bathroom supplies and travel goods can all be had at fairly low prices. Not just housewares, you'll also find a full collection of basic menswear, womenswear, and children clothing at Muji from outerwear to underwear. The name Muji is an abbreviation of a Japanese phrase that translates to 'no branded quality goods', and that's exactly what you'll find. Muji makes a point to never splash labels or brands over any of their pieces—meaning everything you get is simple and utilitarian. 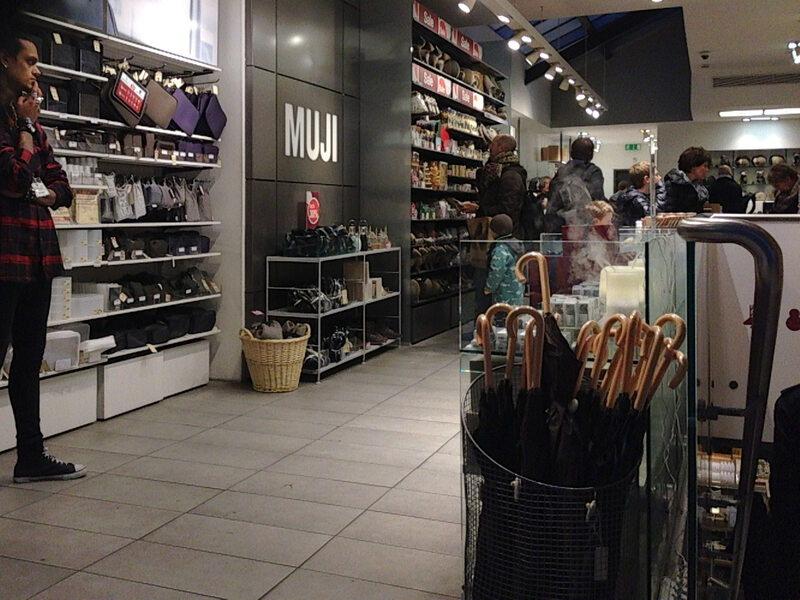 Muji actually started in a supermarket selling their wares wrapped in simple brown paper. Today the brown paper is gone, replaced with brown paper bags, but the concept is still there, quality products that won't break the bank. Muji makes a conscious effort to recycle, avoiding excess packaging, and keep production waste to a minimum so you can feel good about your purchases.